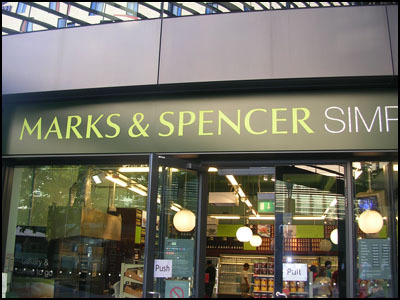 Mark & Spencer is the British Retailer owns more than 760 stores in more than 30 countries around the world. It’s the most famous chain stores in the UK and the largest clothing retailer in the UK. As a french guy it’s strange to go to the casher, pay and then still be in the store among the carots and the shoes! In France when you pay you have no way but the way out! Food is what they do best.